We all worry whether it’s about our children, our significant other and our jobs, how much we weigh, what we look like, the state of our country or how much money we have for our retirement. The possibilities about things to worry about are endless…and mostly beyond our control. When we worry excessively, we set many things in motion including stress, anxiety and a feeling of despair that can, at times, overwhelm us into inaction, indecisiveness or bad decisions.We’ve talked on this blog about the power of our mind over matter and that attitude often defines what we can or cannot accomplish. Consider that when you worry, you are playing a continuous loop of the worse case scenario of what could happen and thus you are setting a trap of believing this will happen. And if indeed it does, it reinforces that the worry was justifiable but the outcome didn’t change or perhaps was worse than we thought. It’s like adding insult to injury. We’re not all wired the same and sometimes worry can be an important component of thinking through potential problems or situations that require more than just an automatic response. If you worry about not having enough money for retirement, then that might propel you to start to saving a bit more or finding a better job or cutting back on expenses. If you worry about your children doing well in school, then you might be motivated to read to them each evening and checking their homework to make sure they’re on the right track instead of watching some mindless television program you can time shift anyway. Worry at this point can work like a nagging thought that won’t go away until you do something about it. Yes, life is a roller coaster and there are no guarantees that there won’t be bumps and major detours on the way, but worry often hampers you from figuring out how to successfully navigate or at least mitigate them so you can move on. It’s been said that when you look back on your life you’ll find that, yes, there were troubles and challenges, but most of what you worried about probably didn’t happen. 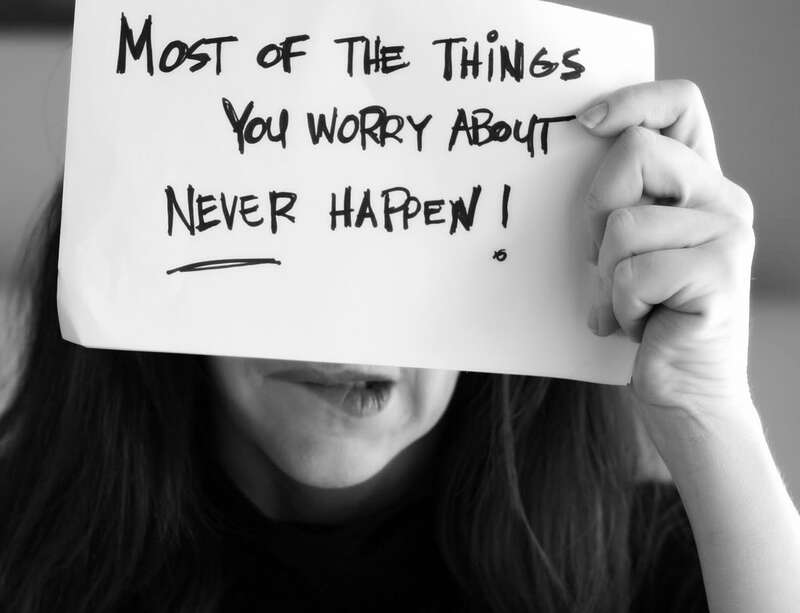 So think about what’s your worry list now and what you can let go of that won’t many any difference in the outcome of your life; you’ll probably feel sleep better tonight.